Terra Linda is complete! 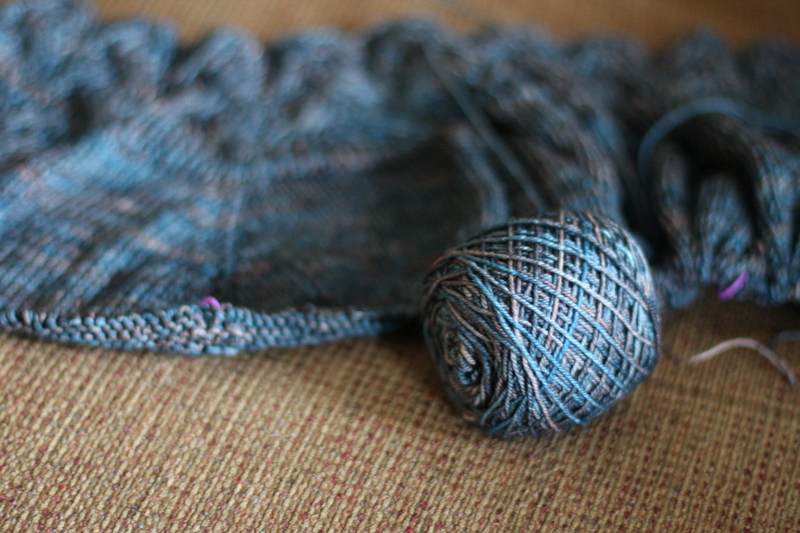 I am followingErica's Nice & Knit-along project, and started Rosamund for my next sweater! I had the yarn in my stash, Malabrigo Sock, which I am holding double. 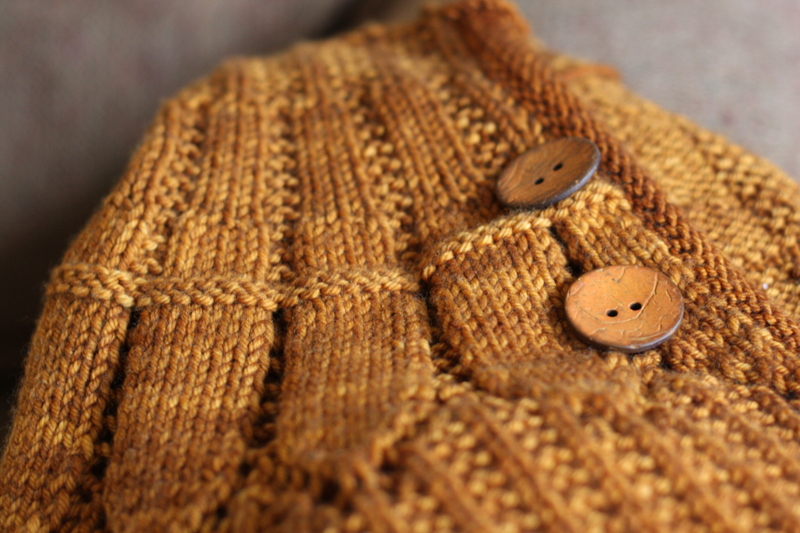 I love the texture of the cables mixed with the reverse stockinette stitch. When I first began knitting I loved this pattern so much, and tried to knit it then, but ripped it out at least 12 times before realizing that I was not ready for intermediate knitting. This time, I placed markers every repeat on the collar, which made all the difference! I love knitting in the fall, and have been every chance I get. I have a few other projects on the needles as well... Hope you knit-along projects are going great! Let us know here. I am once again very impressed! Beautiful!!! Both of these sweaters are beautiful, Katie! 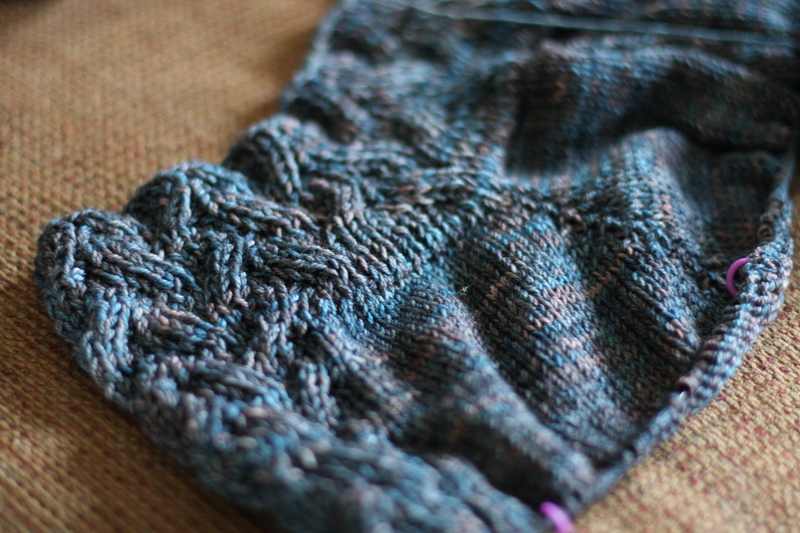 I really like the yarn in the Rosemond pattern.